The fun thing the elves do is all about the Christmas Spirit. It is about the joy of giving. Would you like to learn about the elves’ game? The elves play a Christmas game they call “X.M.A.S.”. The elves say “X.M.A.S.” is short for “eXchange Merriment And Spirit”. Such silly elves! Here is how they play “X.M.A.S.”. One of the elves will make up a basket. It will have all kinds of yummy things in it. It might have candy canes. It might have Christmas music. It might have Christmas crackers. It might have cocoa. It might even have those fancy imported marshmallows! They have lots of fun making the basket. Then the elf will put a fancy bow on the basket. When no one is looking she will sneak to the elf house next door. She will put the basket down at the door. Then, she will ring the doorbell fast and hide! The elf that lives at the house will open the door. And, there will be a basket full of yummy treats for them! The elf that gets the basket then makes a new basket of treats for another elf! If you get a basket you put a special paper tree in your window. When the elves are done, every single house on the block has a special paper tree in its window! What a great sight to see! It reminds me of how great the spirit of giving really is. elves, please tell santa i heart him. thank you. i would put a big bok of egg nog fudge!! Ha ha ha I think it would be funny with girls undies in them it is just so funny I would laughing like Mrs. Claus to so Clumsy gave it to one of the elves if he did was it at least a girl or a boy it would funnier with a boy well kind of because then they will think who brought it to them and then it will just be so funny and it will make them think who brought it to them and maybe have a wierd look on there face to that would that would be funny for me seeing weird look on there face and thinking who brought it to them too. wow your blog is so cool Santa , i hope you and the reindeer get to my house safe and have no troubles , i will leave the most best cookies ever . Dear santa I think the xmas game was very good because it gives everyone the message that christmas is a good time of year. And I’d give someone a pound and some biscuits. santa please can i be on the nice list. I realy want to play this game. I wonder how this game works? santa is so cool im so glad he sent me a letter on here.<:-}!!!!!!!!!!!!!!!!!!!!!! I love reading your blog every morning I just get out of bed and run to the compuetr.How is the presents going this year? 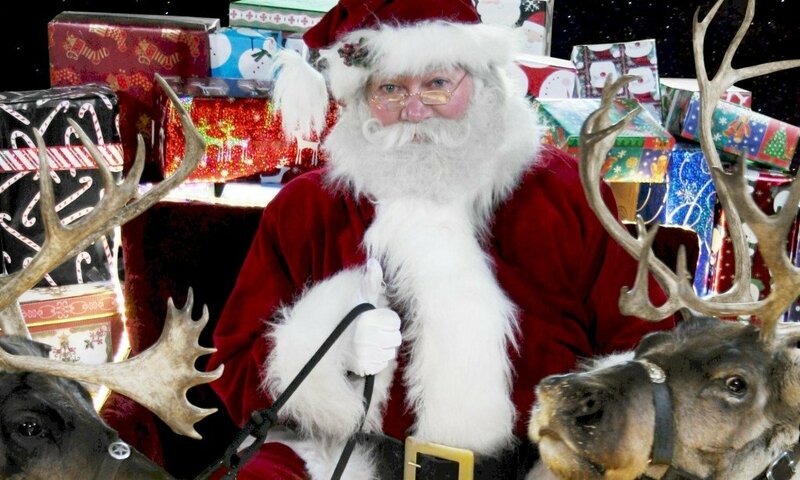 Oh and I heard you got a new sleigh this year cool.Have a Merry Christmas and a Happy New Year. P.S.Say hi to Mrs.Clause and all the others for me. I care about Santa Clause. I care about his toy making elves, cookie making elves, & candy making elves and the reindeer! i have not done it before but it sounds good i might try it myself! Ive done it before i left a pack of xmas crackers chocolate and some toys it was so fun! How ond are you and your wife. i would but difrent kinds of goodies so they could be happy. Those xmas games are grate I love them! I would leave for a girl lotions, chocolate, lipgloss, coco, and of course some purses. For a boy: candy, coco, video controller cases, IDK what else. I hope you have a good time with your reindeer Santa, because I like Christmas and I like reindeers a lot especially Rudolph, because in a movie called ‘Rudolph the Red Nose Reindeer’ his nose can glow. And I wonder if you have the Rudolph the Red Nose Reindeer that has his nose that can glow. P.S. Have fun Santa going to other peoples houses HO!HO!HO! Santa can you tell if I’m on the nody or nice list!!! i hope i get a hamster for christmas becaus i know how to look after them as you know i have had a hanster from school at the weekend and i have took care of it very well. hi again but i forgot to ask you what is the north pole? Hi santa please could I have a big cotton scarf in my stocking and lots of other things please as i love it when i have a big stocking full!!!!!!! hay elfs EXELENT GAME OF YOURS. what is the xmas game? I hope you can spend some time to think about the great things you do! your the best!!!!! I really love it when you and the elves have spent time to come down from the North Pole. hi santa if i was playing this game i would put chocolate in the basket and some baked goods!! yummy! hi its ellis ive sent a letter to you before i love christmas even when its christmas eve. Thanks for the elves! We love the games! THAT GAME IS PRETTY AWSOME I WOULD LOVE TO PLAY WITH ALL THE ELVES AND EVEN YOU AND MRS.CLAUS!!!!!!!!!!!! i love the blog you made.i love the one bed time storys.santa your blog ROCKS. how do you play because i don’t get it! Why can’t Christmas be every day. I love Christmas and the elfs,the raindeers, and you Santa Clause. P.S I love you and the raindeers. Hey Santa…..loved your story!!!! I would put gummies, suckers, gum, playdough, and fruit rollups in a basket for my neighbor!! I loved the idea except I would be scared that I would be bitten by a dog if I did that!!! Take care……..see you soon!!!! Yay im the first one!! um the elf game is soo cool! its alot of fun! Many kids want to talk to Santa right now. The best way to reach him is at https://www.emailsanta.com/email_santa.asp . If you’d like to talk to someone because you are sad about something then the best thing is to talk to your family about it. If you still want to talk then you can always call the great people at one of the phone numbers on this page: https://www.emailsanta.com/Childrens_hotlines.htm (make sure to choose a phone number for your country!). We like to think of them as “elves in training”! I think this game sounds really neat. It is like the ghosting that you do on halloween. I just wanted to say that I LOVE YOU !!!!!!!!!!!!!!!!!!!!!!!! one word ……. COOL !!!!!!!!!!!!!! … !!!!!!!!! I would put suprises and nice littl giftys for people! leters of how to play the game, a paper picture of a elf for the window. i would put in a candy cane, a bubblie lightbulb, a packet of hot coco, a christmas book, a christmas ornimate and finally cookies! SOUNDS LIKE LOTS OF FUN!!!!!!!!!!! I would Like a lots of stuff for Christmas. santa could you please please please please please please please please please please please please please please get me the SMORS PONY FOR CHRISTMAS.I love you santa so so so so so so so so so so so so so so so so so much. I would put a Hannah Montana cd in it. Why did they name this game Xmas instead of Christmas? I want a cell phone!!! heyy ppl thats right…i am leavin’ a message for santa!!!! I want a cell phone really badly for christmas!!!! one witha a keyboard and unlimited texting please! only 26 days! Why do you have to live in the North Pole? I thought it would be much easier if you lived in Colorado or Canada.. they have snow there on Christmas too. How will you get the ping pong table here I am asking for here on Christmas?? HI SANTA!!!!!!!!!! I CANT BELEIVE IM TALKING TO YOU!!!!! HAHA!!!! WHAT HAVE YOU BEEN UP TO? EVERYTHING OK WITH MRS CLAUS? SANTA,DO YOU HAVE A BABY??? I WAS JUST WANDERING WHATS ITS NAME? WELLLL HOWS THE REINDEERS DOIN? I would put lots of goodies in the basket if I were an Elf! The elves are very fun!!!!! I can’t wait ’till Christmas! i love your blog and i can’t wait till christmas,i love leaving you cookies Santa,i hope you,mrs clause,the reindeer’s,your pets and yuor family have a great christmas. Most of this game is good I might leave a tiny present in there and give it to someone, it must be very nice to give away presents to people that you may or may not know! I will feel happy after all this!! I don’t think that this is a very good game but I do like spreding cristmas spirit and making sure every one is happy. Yes I think the elves are very silly. The game seems like a very fair game, a very pleasent game and a very happy and joyous game. I’m sure if I got a basket I would be sooooooooo happy! Next PostNext Would You Like To Name Santa’s Newest Little Baby Reindeer?